If you were involved in a movie, would you rather be the director, the producer, or the lead performer? (Note: you can’t be the writer!). Photographers, artists, poets: show us CELEBRITY. 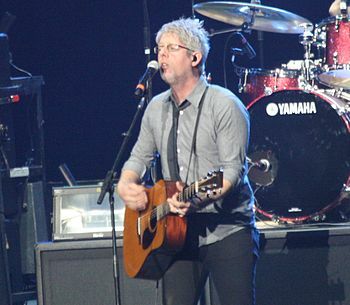 Here is my idea – lets go watch Matt Maher! He is one Artist I definitely want to go see. I heard this last night and I can’t stop dancing to it! I love this! Hope you have as much fun with it as I am. I am so learning this so we can play it at church. Gotta have drums – I have a DJembe – oh yeah! Rocking out here – come join the party? Posted in Daily Post, Music, Spirituality, Videos and tagged celebrity, christianity, Daily Post, Daily Prompt, Hope, Inspiration, joy, matt maher, music, postaday, Praise, Religion and Spirituality, Spirituality, Video. Bookmark the permalink. Thank you. It was so funny. I was outside my car last night waiting for my daughter to get out of her drivers ed class and I played this on my phone. I was seriously dancing in the street! People must have thought I was nuts, but I couldn’t help myself! Love it! Love is the Only Answer! When Words are Not Enough!